Wheeeeeee – This is fun! DXD is at $11.24 so in the money and $13 is $1.66 away or 15% so a 7.5% drop in the Dow will pay you back $2 x 10,000 options (100 per contract) or $20,000 and the net cost of the spread is $1,300. That's a profit of $18,700 (1,438%) if the Dow drops 7.5%, and stays down, into the October expirations. 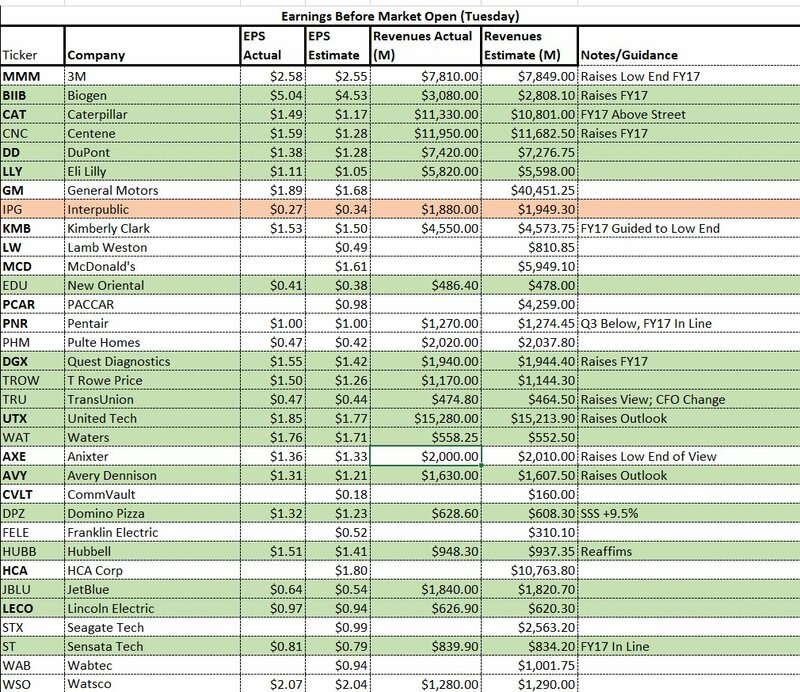 You are obligating yourself to buy 500 shares of AAPL at $120 ($60,000) so make sure you REALLY want to own AAPL if it drops 20% but, chances are your will be safe with that bet if the Dow stays up and, if the Dow falls and puts AAPL in the money, then you have an extra $20,000 to buy the shares with! Meanwhile, we could not be more pleased with the AAPL options we do have. AAPL is the largest holding in our Options Opportunity Portfolio and we had already gained $15,800 on our net $5,600 credit position so up $21,400 but that's nothing as our profit potential for AAPL is $185,600 so we're merely "on track" to our goal of $170. No wonder the Options Opportunity Portfolio is up 200% in two years! Markets blasting up yet again for no particular reason. Now I like /YM short at 21,950 with tight stops but then again at 22,000, /NQ 5,900 is good as well and you know 2,480 was my target short on /ES and that's lined up with 1,430 on /TF – definitely a short the laggard day. We're also shorting Oil (/CL) at $50 but long on Natural Gas (/NGZ7) at $3.07 and long on the Dollar (/DX) at $92.75 – all fun trades for a Tuesday morning. That's what the Banksters want to print in their monthly reports to get their customers to pull their CASH!!! off the sidelines and put them into something that generates fees for the bank. They don't give a crap whether you win or lose – as long as they get their fees. Morgan Stanley says "this time will be different" and that we shouldn't worry about Central Bank de-leveraging or China's Credit Collapse because (and these are their points, not me just making it sound absurd), although "global growth will moderate somewhat, and will remain above trend." That would be great but the "trend" has been around 2% and global stocks are not priced for "above 2% growth" they are priced for 4% growth or 6% growth and we are miles away from that! Goldman's Chief Equity Strategist, David Kostin says the company's HNW clients are "confused" by the lack of inflation (as that's what we expect in a great economy) and he ponts back to the disparity of measurement that we touched on last week. Like me, Kostin is recommending inflation hedges, urging his clients to ignore what the Fed is saying and pay attention to the evidence that's right in front of their eyes. Zero Hedge does a very good job pointing out what's wrong with inflation measures as they note that: "A leading driver of disinflation has been the Video, Audio, and Computer category where prices dropped by 5% in 2015, by 10% in 2016, are declining at an average pace of 7% YTD." This is one of the stupidest things the Government does when measuring inflation. Basically, if you bought an IPhone last year for $1,000 and it had 64Gb or Ram and this year you spend $1,200 but it has 128Gb of ram, the Government says you are getting more for your money so that phone is counted as 40% CHEAPER than the one you bought last year. In yesterday's PSW Report, we called for shorting the Dow (/YM) below the the 21,650 line and we never really got there but the Russell Futures (/TF) crossed below our 1,445 target and plunged another 20 points to 1,425, yeilding a nice $1,000 per contract win on the day. That was enough to offset our loss (so far) of $600 per contract on oil shorts at $48.50 (for those who did not use the tight stops suggested, of course). Oil is $49.10 this morning and we still think the short story will play out during August but it's likely to be a rough ride along the way. 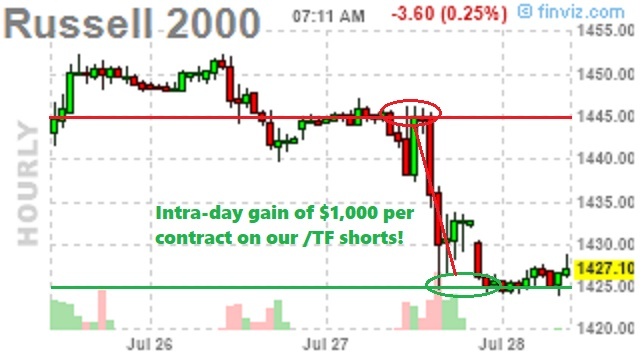 The Nasdaq was good for a 100-point drop, yeilding gains of $2,000 per contract from our Wednesday morning call and the S&P (/ES) was rejected at our 2,480 line, dropping to 2,460 and that was also good for gains of $1,000 per contract in just two days. In Wednesday morning's PSW Report, we also discussed our Wheaton Precious Metals (WPM) spread, which was net $3,825 at the time and is now net $4,180 so up $355 (9.2%) in two days – I told you it was good for a new trade. Chipotle (CMG) was also a great spread, going from net $16,900 to $23,050 for a very quick $6,150 (36%) gain but sadly, for Seeking Alpha readers, the report we submitted on Wednesday was rejected by the editors because they didn't feel the trades were "new enough" – since they were both derived from older trade ideas. Pinheads! If you want to read our Morning Report BEFORE the market opens every day – you can sign up HERE – I've lost my patience with Seeking Alpha and will no longer submit content there – other than the occasional blog post and, for now, my Options Opportunity obilgations. Once again the Fed failed to raise rates and the Dollar dropped, sending the indexes and commodities higher. Boeing (BA) was the entire story for the Dow (DIA), as their $20 gain was good for 170 of the 97 points the Dow gained. That's right, without BA, the rest of the Dow components lost 73 points and the S&P ended up red (slightly) despite Boeing's boost. We had a live Webinar yesterday and we talked about the internal market weakeness and decided to stick with our index shorts from Tuesday morning's Report, notably the Dow below the 21,650 line and the Russell below 1,445 – with tight stops over the line. We're also still shorting Oil (/CL) Futures below the $48.50 line as that too, seems overdone after it's 15% run since Mid-June rom $42 to $48.50. Considering how much effort has been made to talk oil up – $48.50 is pretty pathetic, a strong indicator of general weakness. Also, we're getting into that time of year when there's already a tremendous overhang of fake, Fake, FAKE open contracts at the NYMEX from traders who have no intention of taking delivery. December already holds open orders for 342M barrels – that's 20 times the amount that will actually be delivered! It's been 5 years today since ECB President and Goldman Sachs (GS) stooge, Mario Draghi said: "The ECB is ready to do whatever it takes to preserve the euro. And believe me, it will be enough." At the time, the EuroStoxx index was at 2,000 and now we're at 3,500, a 75% gain in 5 years and Germany's DAX is up over 100%, from 6,000 to 12,281 as of yesterday's close. That's an average gain of 20% a year for 5 consecutive years – happy anniversary indeed! The Euro has fallen 20% over that time period, making the gains somewhat less impressive but not too much and "only" down 20% is very surprising as the Yen is down 30% over the same period and the ECB's money supply is up 30% as well. Actually, the EU money supply is up closer to 100% since 2008, Draghi's "whatever" was just icing on that already well-iced cake. 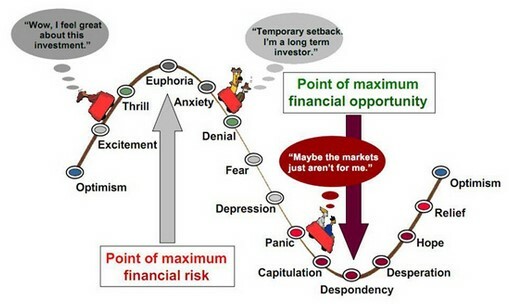 That money, in turn, gets pumped into the stock market, which also levers up the cash by about 10:1 on inflows and PRESTO! – it's a "recovery". 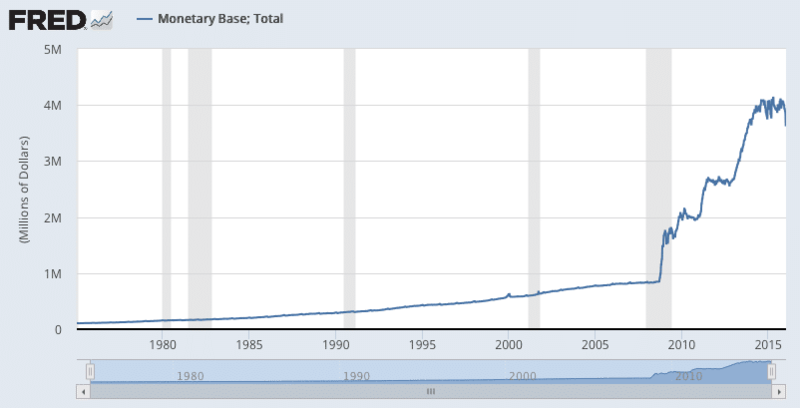 Steely Dan said "You Can't Buy a Thrill" but you can certainly buy an economy if you are a motivated Central Bank and no one was more motivated than the former Managing Director of Goldman Sachs, Mario Draghi, whose "former" firm is up 120% since he did "whatever it takes" for them. With the very notable exception of Google (GOOGL), who had higher than expected Traffic Acquisition Costs, most of today's reporting companies are nicely green and oil (USO) is back to our shorting line at $47.20 (/CL Futures) after yeasterdsay's failure to turn back down from $46.50, which is a loss of $700 per contract if you did not heed our warning, in yesterday morning's PSW Report, to use tight stops. Nonethelss, you can be redeemed by doubling down at $47.20, which would raise your short average to $46.85 and then get out of at least half even there and back to tight stops above $47.25, which we shouldn't even see if oil remains weak. That lines up with $49.50 on Brent Oil (/BZ) – which also should be a point of non-futile resistance. Seagate (STX) just missed and is down 20% and that does not bode well for Amazon (AMZN), who we've been shorting to no avail, as the only place they make any money is cloud storage. That's right, turns out it's not profitable to pack and ship you a $3.99 case of Pepsi overnight – who'd have thought? I was at the post office yesterday, contemplating what a stupid business Amazon really is. Yes, it's nice that they can ship me all that stuff but, even at the post office, shipping costs are expensive and AMZN doesn't MAKE the stuff they ship, they only get a commission on it. Even if they send you a book, where they take 30% of the sale price – by the time they pack, wrap and ship it to you – it's break-even at best. Manic Monday – Saudis Cut 600,000 More Barrels and it’s Still Not Enough! As we predicted on Friday, the Saudis have unilaterally cut production. It was less than we recommended, however – 600,000 barrels vs. 1Mb needed to make enough impact to get Brent Crude back to $50 so we'll be back to shorting oil once the bulls get done reacting to the headline. At the moment (8am), US Oil (/CL) is trading at $46.06 and hopefully we can short it at $46.50 but we'll take a short under $46 with tight stops above as they may not get there on this half-assed effort. The Saudis have to act in loco parentis at these meetings but it was hoped by oil bulls that holding the OPEC meeting in St. Petersburgh meant Russia would be joining in with more cuts. Not only didn't that happen but both Nigeria and Lybia have room to INCREASE their production under today's agreement, which offsets most of the Saudis' new cuts. The success of this deal rests on the rest of OPEC complying with November's production cut – something they are notoriously bad at. Long-Term, the OPEC nations face a disaster of biblical proportions as their oil-dependent economies are running headlong into the end of the oil era. According to a new book. Burn Out: The Endgame for Fossil Fuels takes the view that oil prices will not just be “lower for longer”, as BP chief Bob Dudley predicted, but lower forever. The evidence for author Dieter Helm’s case rests on plentiful supply unlocked largely by the US shale revolution, “unstoppable” global action on climate change, and technological advances. “My view is that oil prices will probably carry on falling forever, and $50 is a high price for oil, not low,” the University of Oxford professor told an audience in London. http://welcome.philstockworld.com/wp-content/uploads/2015/09/PSW-Adooma-logo.png 0 0 Phil http://welcome.philstockworld.com/wp-content/uploads/2015/09/PSW-Adooma-logo.png Phil2017-07-24 12:20:222017-07-24 12:20:22Manic Monday – Saudis Cut 600,000 More Barrels and it’s Still Not Enough! Will the last short seller please turn out the lights? According to S3 Analytics, Bets against the SPDR S&P 500 (SPY), the largest ETF tracking the broad index, fell to $38.9Bn last week, the lowest level of short interest since May, 2013. The same thing is going on in hedge funds as we're well below 2013 levels in short funds – people have simply given up on the idea that this market is going to go down – and that's probably the best time to short it! Apple (AAPL) is the top component of the S&P. With an almost $800Bn market cap, it makes up 3.7% of the index. 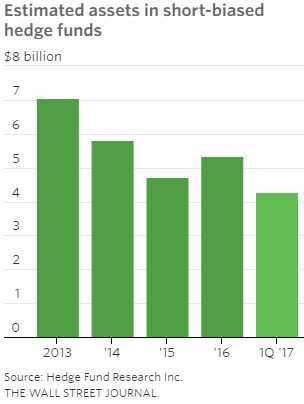 In 2015 they had $233Bn in sales and made $53Bn, last year they had $215Bn in sales and made $45Bn and this year they are looking for $220Bn in sales and $46Bn in profit yet AAPL is trading 60 points higher (66.6%) than it was at the beginning of last year (after 2015 earnings were reported). What has AAPL actually done to justify a 66% gain? Mostly, it was drastically undervalued but, other than that – it has added no profits to the overall S&P. In fact, it has subtracted them! http://welcome.philstockworld.com/wp-content/uploads/2015/09/PSW-Adooma-logo.png 0 0 Phil http://welcome.philstockworld.com/wp-content/uploads/2015/09/PSW-Adooma-logo.png Phil2017-07-21 12:36:062017-07-21 12:36:06Faltering Friday – Will Oil Drag the Markets Down in August? That's how often an American citizen dies due to lack of health care. Trump gave a fiery speech yesterday ordering his Republican goons to repeal Obamacare at any costs – and the costs are turning out to be staggering. According to the Congressional Budget Office, Trump's plan will throw 32 MILLION Americans off health care and that will cost over 500,000 of them their lives over the next 10 years. That will make Trump, the GOP and the people who voted for them, the greatest mass murderers in the history of this country – right up there with the worst in World history (would rank #12, actually). And why are they doing this, why do 4,000+ Americans have to die every month? Well, according to the Congressional Budget Office, taking health care away from 1 out of 10 people you see today will save us $473Bn – over 10 years. That's $47.3Bn a year and that does sound like a lot but there are 165M taxpayers so we each save $286.66 per year. $286.66 a year! How many people would you kill for that kind of money? Next time you are at a football stadium (50,000 people) pick 8 people to kill because that's how many out of 50,000 (1/6,400) are being killed to give you $286.66. In fact, the amount of people in the stadium (all of them) is just about how many people your vote will be killing each year. Isn't that GREAT!?!? America is truly great again when we can value $286.66 over 50,000 human lives.